Many pumps are certified for ATEX2, zone1 or 2 including Models 45 and all 15, 18, 25, 28, 35, 38, 60 and 68 frame pumps. These ATEX certified high pressure pumps will be specially labeled and come with a signed ATEX certificate. Under the ATEX Directive, equipment is designated by the type of potentially explosive atmosphere in which the equipment is to be used. In Group 2 ATEX also defines categories of equipment, specified by their protection characteristics. It also designates the hazardous location zones. Cat Pumps ATEX 2 certified pumps include Group 2, Category 2, Zones (G) 1 & 2 and (D) 21 & 22. ATEX 3 certified Cat Pumps include Group 2, Category 3, Zone (G) 2 & (D) 22. 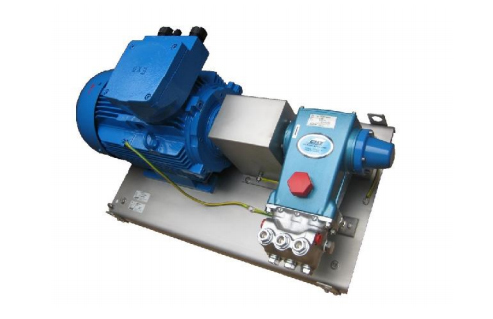 Please contact our technical sales team with any questions you have on our ATEX pumps.